The Series 2000 Torque Sensor offers maintenance-free operation, intergrated signal conditioning, high tolerable transverse forces and bending movements and high tolerable dynamic loads. 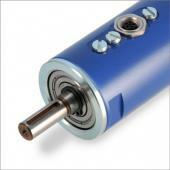 The Series 2000 Torque Sensor is well suited to test benches and production lines. The data sheet for the Series 2000 Torque Sensor is shown below.